You can use AFerry to book ferries to Crete, including Chania and Heraklion. Using AFerry will always get a great deal on your ferry to Crete. See below for timetables and the latest special offers. 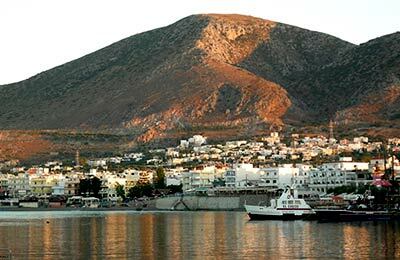 Booking a ferry to or from the beautiful island of Crete couldn't be easier with AFerry. You can either use the booking form at the top left of the page. Crete, the southernmost of the Greek islands, is popular with tourists from across the globe for its rugged mountainous scenery inland, its beautiful coastal towns and beaches, and typical Greek culture. Visitors are drawn to Crete year-round. Because of its southerly position Crete benefits from a warm, temperate climate - you can comfortably lay on Crete's beaches and sunbathe from April until October! Enjoy the splendid scenery Crete has to offer, explore the tiny traditional villages inland or visit the ancient Minoan palace of Knossos - whatever you decide to do with your stay in Crete, you are sure to have a memorable and enjoyable time! Filled with history and cultured cuisine, the island of Crete is perfect for the tourist that wants something different from their holiday. With warm temperatures and golden sandy beaches Crete is a great place to relax, but there are also plenty of activities you can enjoy if you are after an active time away. Crete is the largest of the Greek Islands situated in the Mediterranean. It is a popular tourist destination owing to its warm weather almost all year round and beautiful surroundings. Crete has an exotic coast line of over 1000 kilometres dotted with pristine sandy beaches and many bays and peninsulas. 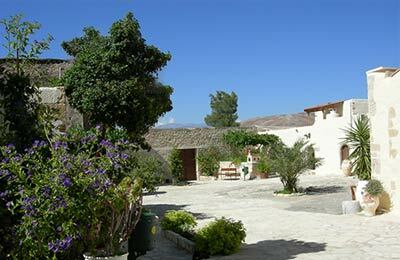 Historically, Crete has always been very important as the home of the famous Minoan civilisation. Evidence of this can still be found in the famous archaeological sites of Knossos, Phaistos and Gortys. Thousands of visitors come every year to Crete not only to enjoy the warm Mediterranean climate, picturesque surroundings and Greek culture but also to witness these archaeological findings. There are various ferries to Crete connecting from the mainland Greece and the other Greek Islands. The easiest way to travel in Crete is to hire a car which is not too expensive but follow certain rules such as drive on the hard shoulder if you are a slow driver and be weary of the mopeds passing by. Also make sure to use the horn as much as possible, Cretans don't mind that. Crete has a number of places to visit; you can visit the various historic and archaeological museums, the Venetian Fortress, the Acropolis, archaeological sites such as Knossos and Phaistos and various little villages and beaches to experience the Greek culture and traditions. Crete has a wealth of treasures to explore; you can visit the beautiful coastal villages passing through the mountains and lush green valleys surrounded by the smells of jasmine and orange blossoms or simply relax on the beach of your choice. If you fancy some outdoor activities, Crete offers a wide variety of activities such as hiking, mountain climbing and fishing etc. 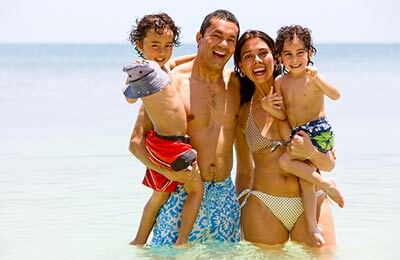 You can also experience the traditional Greek culture and enjoy sumptuous Greek / Mediterranean meals in the more traditional taverns or go crazy partying in the pubs which are dotted all over the place. Whatever your choice, the Cretans make sure you have the most enjoyable time ever.